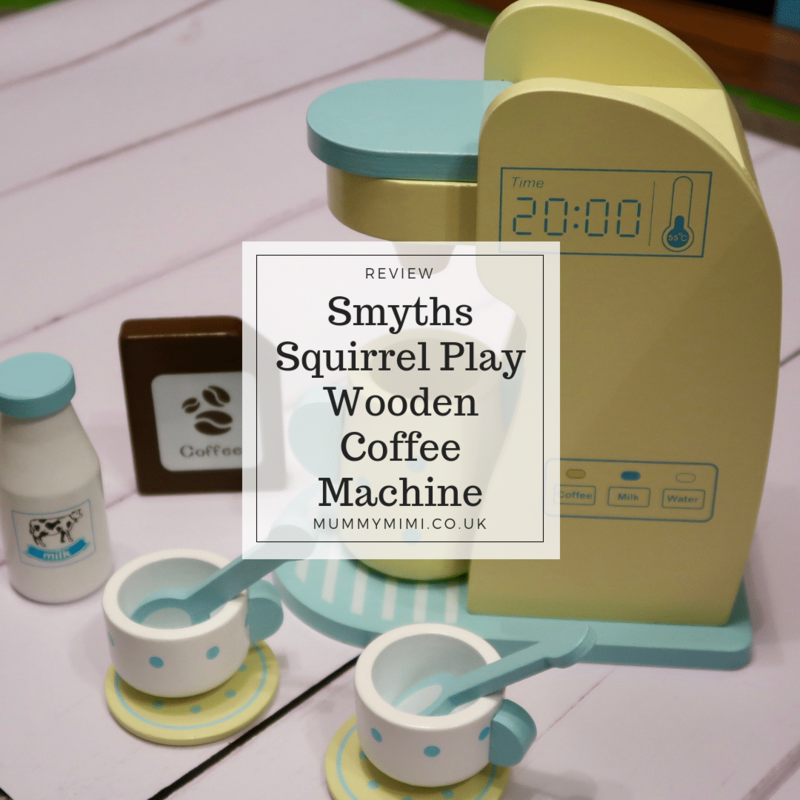 We were recently kindly sent the Squirrel Play Wooden Coffee Machine from Smyths to review. It is part of their Squirrel Play range of wooden toys designed to spark a world of fun through creative play. In the box there wooden coffee machine along with 9 coffee making accessories – coffee bean box, milk bottle, jug, two cups, two saucers and two spoons. 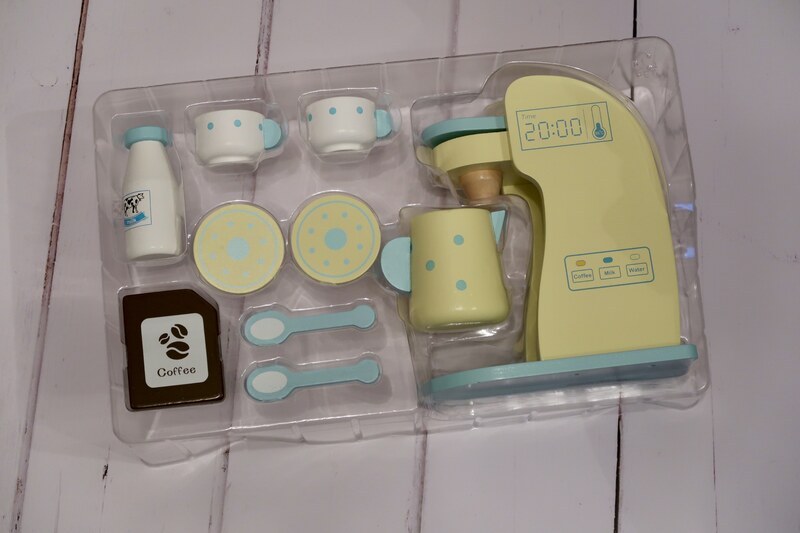 Perfect for any mini barista! Once we were finished it was then onto serving his little gang of soft toys – with Tabby being first in the queue! I love watching S play with toys like this, it really encourages his imagination and I love hearing the stories he creates. The toys are solid and sturdy, so seem like they will stand the test of time up against a toddler or pre-schooler! 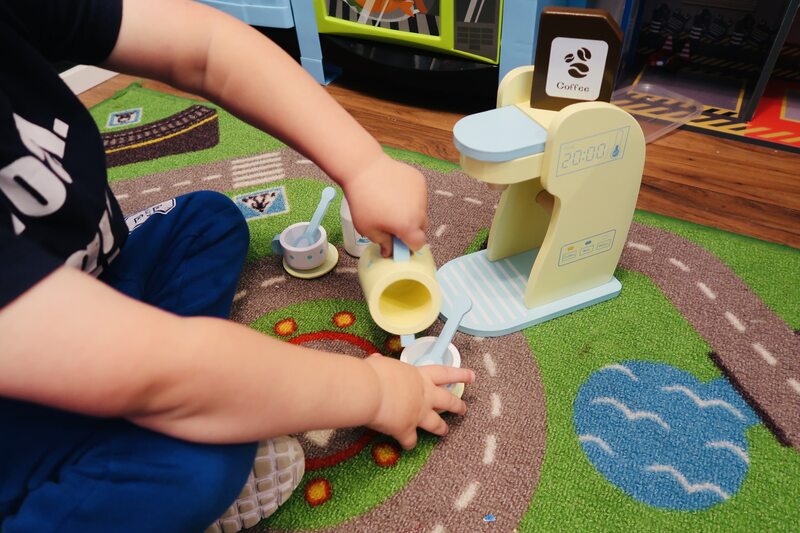 We think the wooden coffee machine would be a great addition to any wee ones toy collection – perfect for all those teddy bear tea parties! 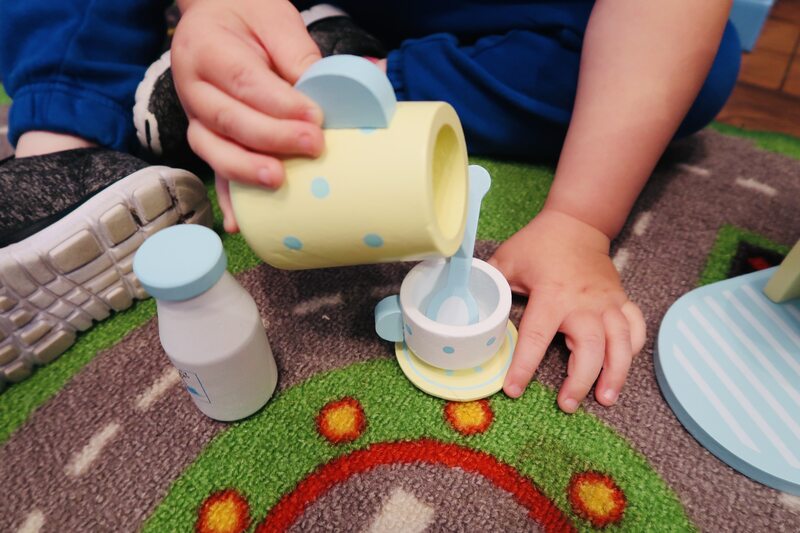 Or simply for them to join in with your morning coffee routine – now S can make his own wee coffee like Mummy! There are over 25 toys currently in the Squirrel Play range at Smyths suitable to a range for ages, from 6 months right through to 8 years old. With prices starting off at £4.99 there is plenty to choose from and suit most budgets. With hours of fun out of these toys, just think what their imaginations could come up with! We think the toys in this range would make great gifts for birthdays and Christmas.